Greece > News > Hard or soft: How will the UK take its Brexit? Will the UK choose - or receive - a "hard" or "soft" landing on the other side of its departure from the European Union? 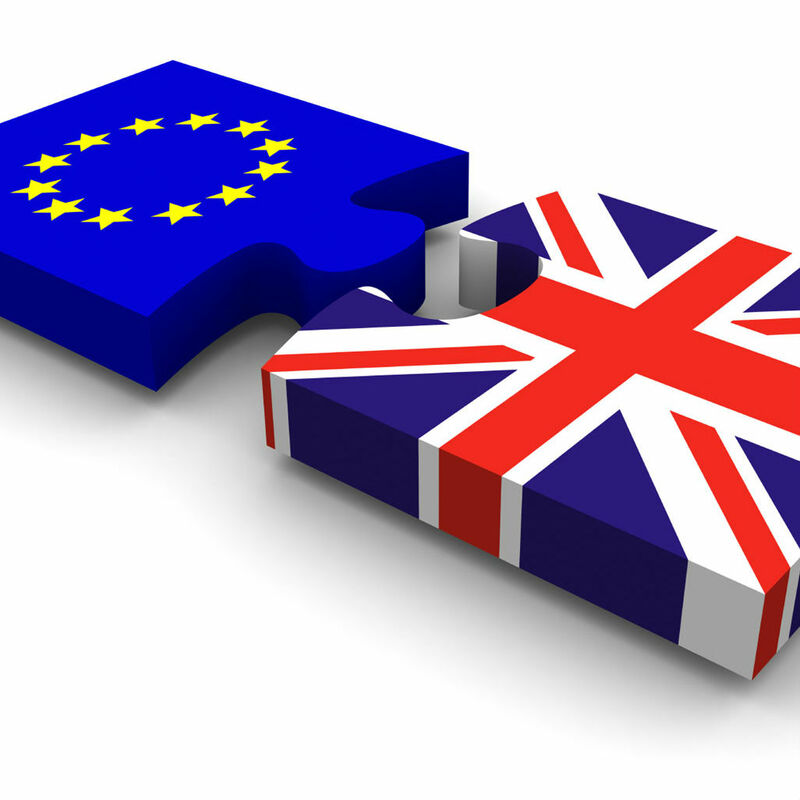 Analysts differ on what is best and even what is possible.The chaotic outcome of the UK΄s June 8 elections is said to have denied Prime Minister Theresa May the public΄s permission to seek a "hard Brexit" over a "soft Brexit." But what does that mean and how will it affect the conditions May will seek in Brussels next week? That answer is murky. Even Michel Barnier, the European Union΄s primary Brexit negotiator, admitted in an interview with several major news outlets Monday that "I don΄t know what hard Brexit or soft Brexit mean," surely evoking a sigh of relief from countless other Brexit-watchers and even British voters who find themselves confused by the terminology. Generally, a "hard Brexit", favored by May΄s Conservative Party, would mean the UK entirely leaves the single market and its standing trade privileges with the other members of the bloc. The UK also would leave the customs union, which regulates tariffs on goods in and out of the EU. All such arrangements would then be left to a new comprehensive agreement worked out over the next two years between the UK and the EU. The motivation for going this direction is to avoid the EU requirement to follow the "four freedoms" of the internal market: the guaranteed free movement of money, goods, services and workers. Supporters of Brexit wanted to limit the movement of people into the UK and the EU says none of the four elements of the internal market are negotiable. Brexit supporters whose main concern was a perceived loss of sovereignty inside the EU are also thrilled with May΄s promise to take the UK out of the European Court of Justice (ECJ) in Luxembourg. It΄s not clear how ECJ rulings governing EU citizens΄ rights would be interpreted in the UK post-Brexit. The "soft Brexit" is panned by critics as half-in, half-out of the EU, the same qualities that supporters of this approach appreciate. It΄s often envisioned as something similar to the "Norwegian model" in which Oslo is a member of the single market in nearly all aspects, via membership in the European Free Trade Association (EFTA) and the European Economic Area (EEA) that extends the market to Iceland, Liechtenstein and Norway. In this way, it gets access to the 500-million-consumer EU without belonging to it, which Norwegian voters have rejected. However, this requires Norway to obey all the bloc΄s rules without getting a say in those laws. In addition, Norway must allow the free movement of people that Brexiteers reject. And Norway pays millions into the EU budget, which would be another sore spot with British voters. Switzerland offers another model, the only country to belong to EFTA but not the EEA. All Switzerland΄s agreements with the EU, more than 120 of them, are bilateral. Switzerland also abides by most EU laws, including the free movement of persons. Vincenzo Scarpetto of the Open Europe think tank says while May no longer has the backing for a "hard Brexit," that doesn΄t mean UK citizens automatically want the opposite, to stay in the single market and the customs union. "That would beg the question, what was the point of leaving in the first place?" Scarpetto points out the "Norway-style solution" means complying with at least 90 percent of EU regulations and remaining subject to the jurisdiction of the ECJ for matters relating to using the market law. Staying part of the customs union means no negotiation of free trade deals, so Scarpetto sees that as ending up in a worse situation, as far as pro-Brexit voters see it. "So it would involve a big change of mind and attitude," he told DW, "and the way I see things at the moment, a soft Brexit remains politically unpalatable from the UK point of view." From the EU view also, he adds, the current view is that "you΄re either in the single market or out of the single market." On the other hand, argues Simon Tilford with the Centre for European Reform, the signal from the June 8 vote was undeniable. "The mandate for the government to negotiate whatever kind of Brexit it wants - and which was shaping up to be very hard - has now gone," he told DW. "It΄s very, very hard to see - or impossible to see, really - how the government could walk away with no deal and it΄s very hard to see how the government could push that kind of hard Brexit." Manfred Weber , the president of the European People΄s Party (EPP) in the European Parliament, says that would create a "disaster" for the country. Maria Demertzis, deputy director at the Brussels-based economic think tank Bruegel, says everyone needs to look at the negotiations with clear eyes. "We need to come down to a good deal that reflects the degree to which we are interlinked," she says. "What are we ready to compromise on?" Demertzis notes that΄s not yet clear from either side, but urges the EU to stand firm especially on the point that access to the precious internal market must be accompanied by ECJ oversight. The free movement of people, she suggests to DW, may be an element where there΄s room to negotiate, even if the EU hasn΄t offered it yet. Former EU ambassador to the US, Sir Peter Westmacott, puts in a bid for a new term altogether - the "pragmatic Brexit." May says she wants her own model, not like the Norwegians nor the Swiss, but something specially designed for the UK. While she campaigned for a "hard Brexit," she΄s also famously said "no deal is better than a bad deal." EU Brexit negotiator Michel Barnier is exasperated with all the pre-positioning. He insists all options are still on the table and that the EU΄s negotiating team is ready for any of them, even the "no deal." He says the most important thing is not whether the Brexit is hard or soft, it΄s that discussions get underway as soon as possible.